Dr. Bradish is Fellowship-trained in Sports Medicine from the Miami Sports-Medicine program. He has served as the Miami Heat team physician of the NBA and has also worked with the Baltimore Ravens during his training. Dr. Bradish was also the team physician for all University of Maryland athletics and therefore has taken care of athletes from multiple and all sports at the highest levels. Sports Medicine includes operative and non-operative care. Dr. Bradish has the highest level of training possible in the discipline. You will get the most up to date treatment under his care, whether it be surgical or non-surgical. Joint Reconstruction and Replacement are also performed on a regular basis by Dr. Bradish. Knee, hip and shoulder reconstruction and replacement are procedures he performs with high volume and great expertise. Having trained with Charlie and Gerald Engh at the Anderson Orthopaedic Center in Arlington, he has the best experience possible in these procedures. Dr. Charles Engh is the creator of the modern-day hip replacement, “The Porous-Coated Implant.” Dr. Bradish learned these techniques first-hand from the creator and is one of the few fortunate enough to bring this experience to his own practice. 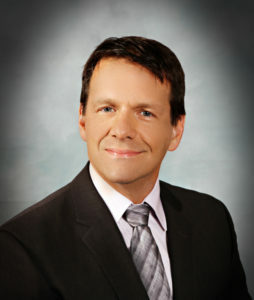 On a more personal note, Dr. Bradish has been into powerlifting and weight-training for the past 30 years. He also is an avid ice hockey player and enjoys motorcycling and snowmobiling.